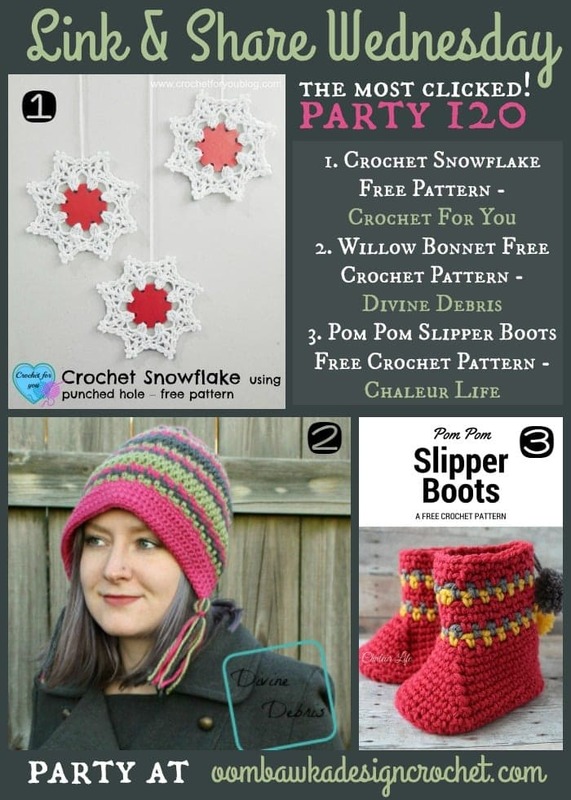 You are here: Home / Crochet Other / Link Parties / The Most Clicked are All Free Crochet Patterns this week! Link and Share Wednesday! The Most Clicked are All Free Crochet Patterns this week! Link and Share Wednesday! Happy Wednesday! Our Most Clicked Projects this week are all free crochet patterns! Welcome to Link and Share Wednesday’s 121st Link Party! Welcome to our 121st Link Party! 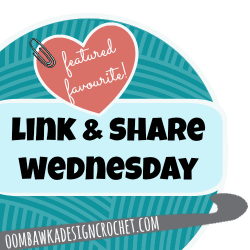 Here are the featured favourites from last week’s Link and Share Wednesday – Link Party 120 as chosen by you! . All Free Crochet patterns this week! To join this week’s party, Link Party 121 please scroll to the bottom of the post! were picked as the Most Clicked this week!